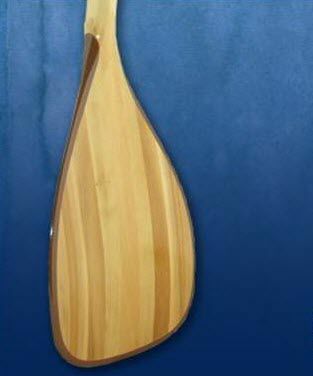 This paddle features a beautiful combination of basswood, ash and cedar, with the hooked blade reinforced by a full casting epoxy and full 4 oz. fiberglass cloth overlay. 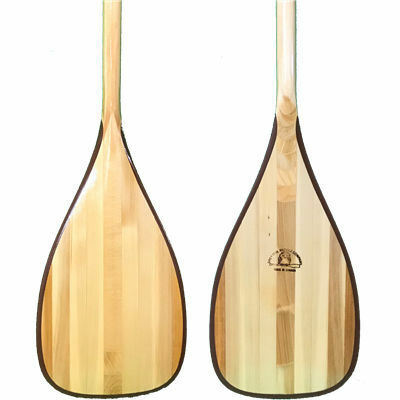 With an ergonomic T-grip handle, oval shaft and full high gloss exterior polyurethane with UV block, this paddle is the perfect combination of durability and performance for all levels of paddler.